Today we’ll start a series on the venues and events of the Olympics. In each installment we’ll examine a few of the venues and games along with a few recommendations and observations on the locations. 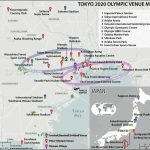 The 2020 Olympic Games will be held at 34 venues in and around Tokyo. See the map of the venues below. 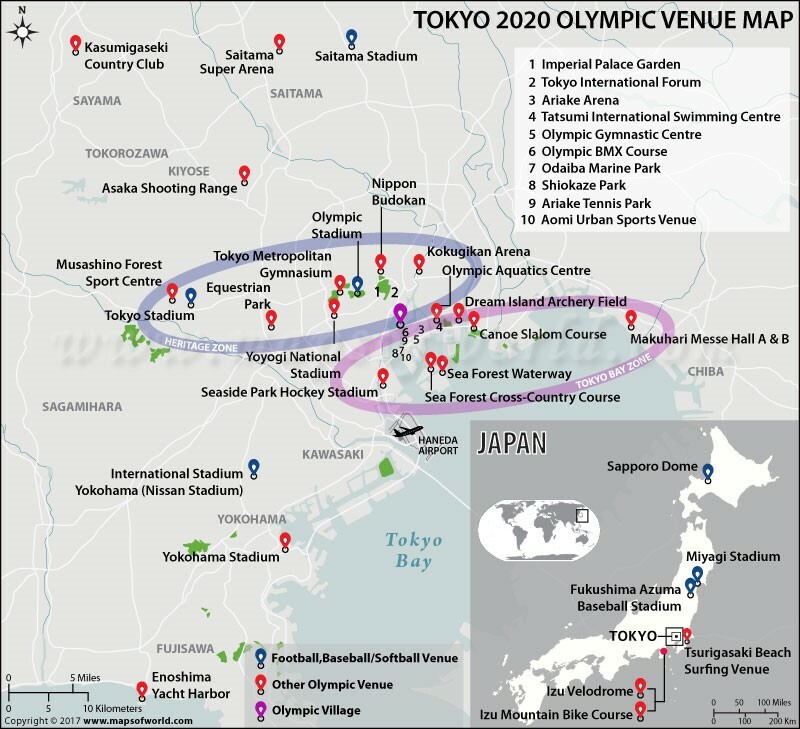 To help get oriented, most of the Tokyo Summer Olympic events will be held in Tokyo itself. 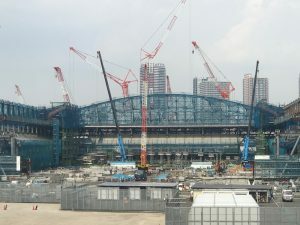 The venues are largely divided into two zones: Heritage Zone and Tokyo Bay Zone. 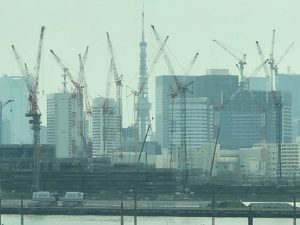 Heritage Zone venues are in central Tokyo, within the Yamanote Line which encircles central Tokyo, while most of the Tokyo Bay Zone Venues are on Odaiba, a man-made island in Tokyo Bay. 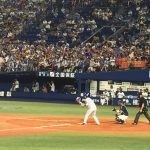 A few soccer (football) matches will be held at stadiums in other parts of Japan, like Sendai City and Sapporo on the northern island of Hokkaido and other events such as sailing, surfing and bicycle racing will be held at venues an easy day trip from Tokyo. So, let’s get started with today’s installment. 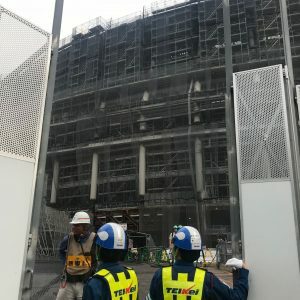 Last month, with exactly two years to go until the start of the games, your humble correspondent took a very hot and steamy walkabout to see how preparations on a few of the new 2020 Tokyo Olympics venues are progressing. Two things jumped out at me. 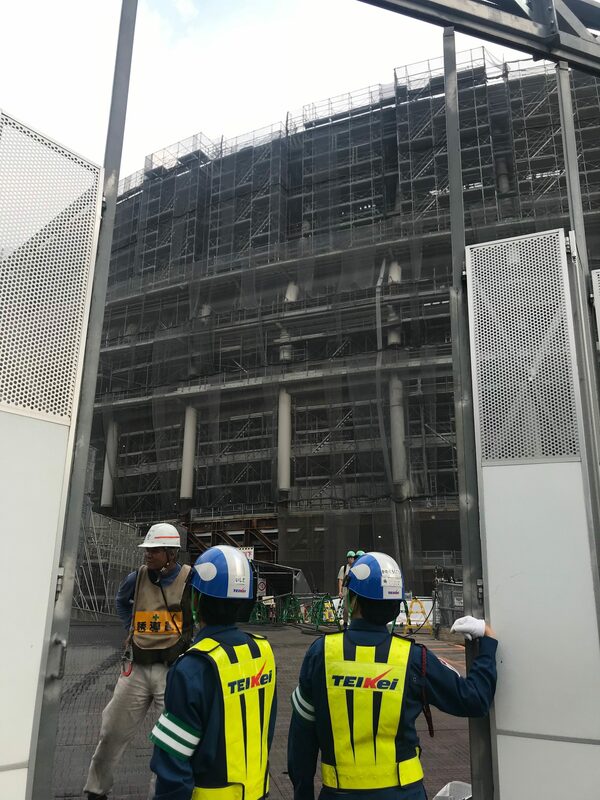 Firstly, Japanese engineering, planning, and logistical know-how is in full swing and we expect the Olympics to be well organized with few of the last-minute dramas that characterized the build-up to the games in Brazil. And several promise to be very special new venues. Secondly, Tokyo in the summer is hot and humid. 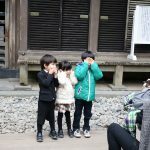 With that, here are our top observations and recommendations from this excursion. 1. The Olympic Village really is going to be a village, or more aptly a whole new district of Tokyo. In other words, it is big. 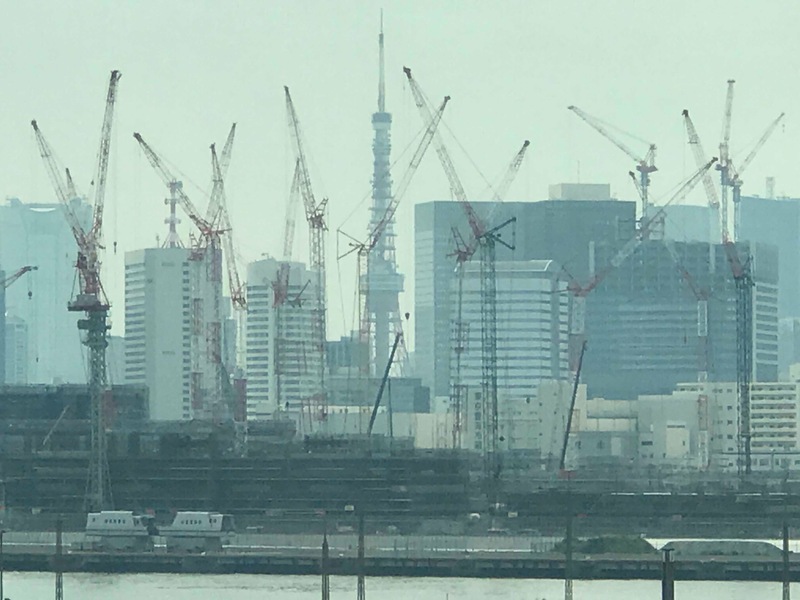 I counted over 20 cranes in this photo and had I used the panorama setting it probably would have tripled the number. 2. 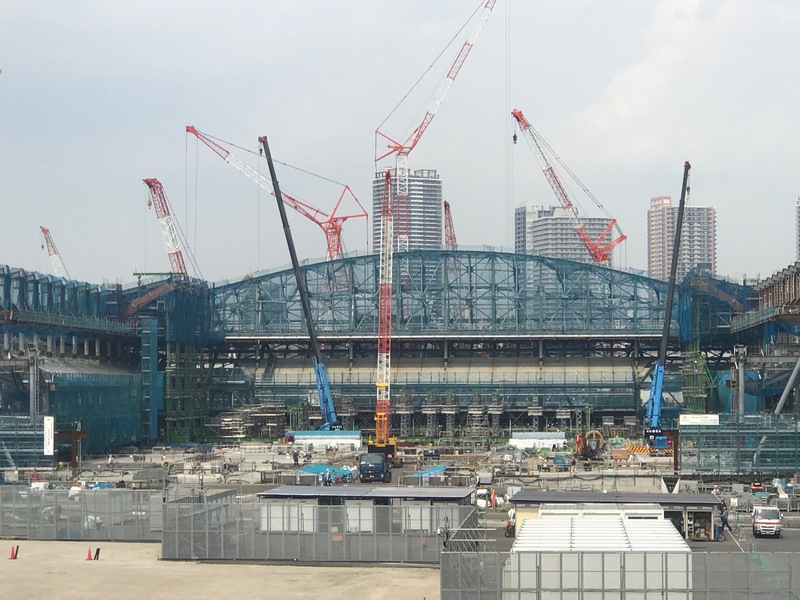 The New National Stadium construction is impressive. 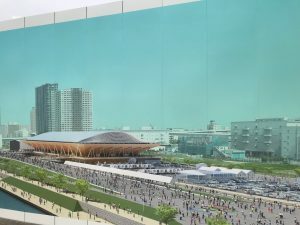 It is hard to know how the final stadium might turn out since the entire site was enclosed behind construction walls, but based on the amount of effort, planning, resources and manpower on display, it is promises to be a fantastic venue. 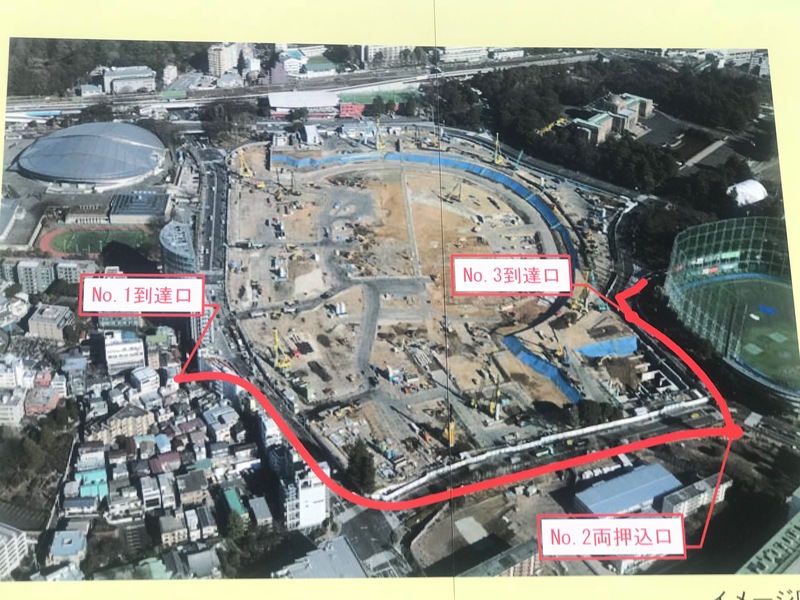 You can see a photo of the original worksite 18 months ago and the significant process made with basically the entire external structure of the stadium in place. Without a drone, I couldn’t get a good photo to give some sense of the scale of the project. But from local media reports and my onsite visit and discussions with staff, the project is on time, if not on budget. 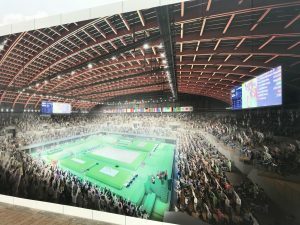 For fans like us, it should be a fabulous place from which to watch the opening and closing ceremonies along with athletics (list which events). It is also located right in the heart of Tokyo with interesting neighborhoods to explore in all directions. 3. The Olympic Gymnastics Facility (near the Ariake Arena – Tokyo Bay Zone) will be a great venue for gymnastics, but it, like several other Tokyo Bay venues will be a bit isolated. 4. 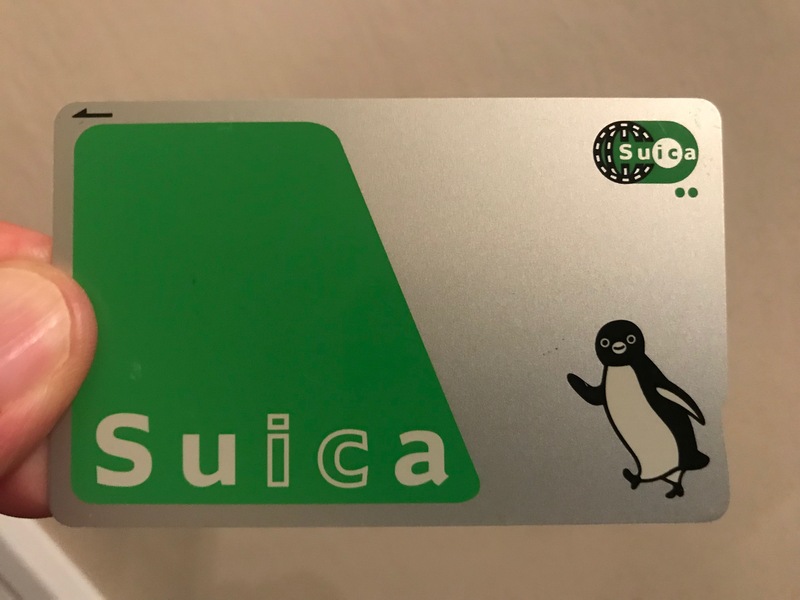 Use public transportation and buy a Suica or Pasmo card to get around easily and efficiently. As I was going from venue to venue, especially those in the different zones, I was reminded of how big Tokyo really is and what a great public transport system it has. To best get around, do as the locals do, and use their metro subway and rail system. The teeming metropolis of Tokyo is just that and in the summer heat, you won’t want to be outside walking too much. 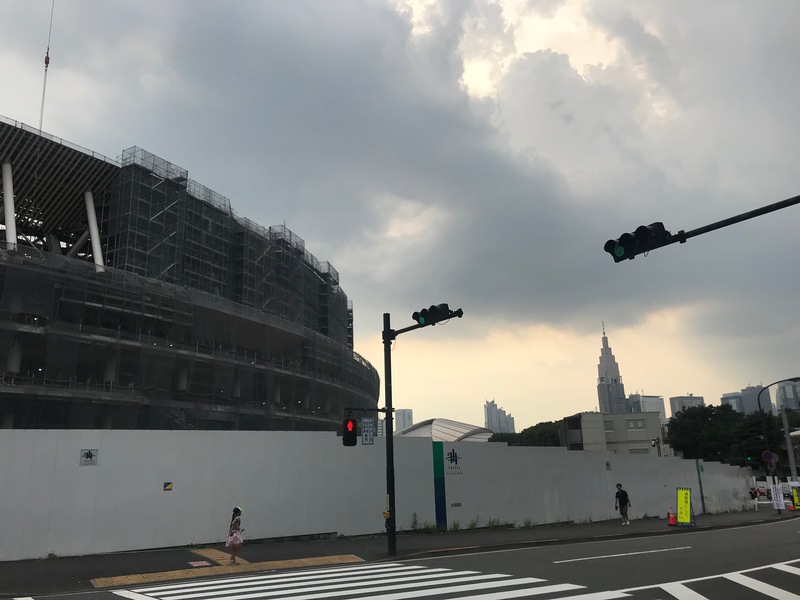 Olympics venues are spaced out across the city and Tokyo’s excellent public transport will be almost without fail be the easiest and cost-effective way of getting around like a local. That said we also expect a large number of special bus and shuttle options as well between zones and venues, just for this event. You will definitely want to familiarize yourselves the local transport options and we highly recommend you purchase a Suica or Pasmo card. A prepaid stored and rechargeable value card like Suica or Pasmo is the best way to pay for trains and subways in Tokyo. And you can use them at convenience stores, for buses, most taxis, and many other places. A Suica or Pasmo card is your friend. They are incredibly convenient. Once you buy one and use one, you’ll never want to go back to trying to work out the correct fare and fishing around change in your pocket every time you ride a subway or train or buy something in a convenience store. 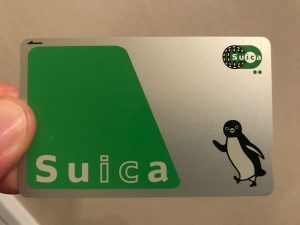 Essentially, Suica and Pasmo cards are interchangeable and you can use both of them for ALL trains, subways and buses in Tokyo. You can buy Pasmo cards from vending machines at subway stations in Tokyo and Suica cards from vending machines at JR stations in Tokyo. Both types of cards can be bought at Narita and Haneda airports. 5. Be prepared for hot and humid conditions. The temperature in Tokyo during my walkabout on August 3rd was 92F/33C with 70%. 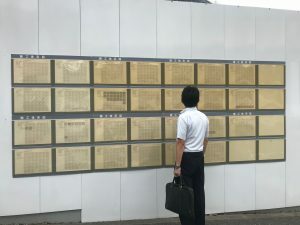 This summer, Tokyo experienced some of the highest temps on record. While it hopefully won’t be that warm in two years time, it will be hot and you should (along with the athletes) be prepared for it. The authorities are also planning for this and luckily air-conditioned public transport is the norm, but there will be extensive shade and misting deployed for the games as well. Be ready for big temperature swings as you transition from very cool indoor air-conditioned restaurants, shops and transport to the outdoor heat. Light and layered clothing is key and a small hand or onsen towel to carry with you with be very handy in keeping you cool, dry and comfy. And definitely wear comfortable and breathable shoes. 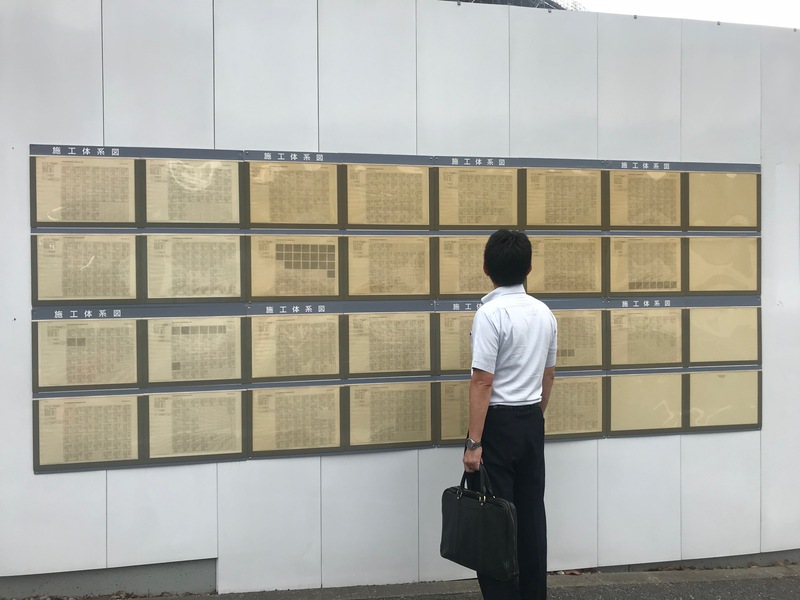 You will unavoidably be on your feet quite a bit as you get to the venues and as you explore Tokyo. 6. Bring light weight comfortable and breathable shoes and sandals that also EASILY slip on and off. OK, it will be hot and you will be on your feet a lot, so the priority is on good comfortable and breathable walking shoes. But you might as well go for a home run and show you really are a savvy local, and get shoes that are easy to slip on and off. Here’s why. Many local restaurants, public baths, onsens, spas, fitness centers, etc, require you to take off your shoes before entering, typically to protect tatami mat flooring. Save yourself the hassle and blushes from having to spend an eternity struggling to take on and off shoes at the entrance to such places while other patrons around you wait with bemused expressions. Finally, a note on the most frequently asked question we get. 1. 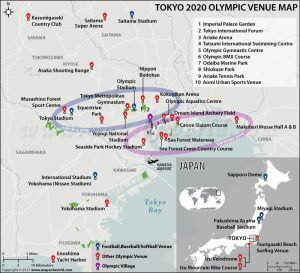 How To Buy Tokyo Olympic Event Tickets? Click here for Current Ticket Information. Please contact us at Artisan@ArtisanPacificTravel.com if you are interested in keeping up with Olympics travel information as it becomes available. Click here to fill out our Customer Profile if you would like us to build an itinerary for your Olympics travel.